Image Copyright ©2014 Martyn Lucas. All rights reserved. 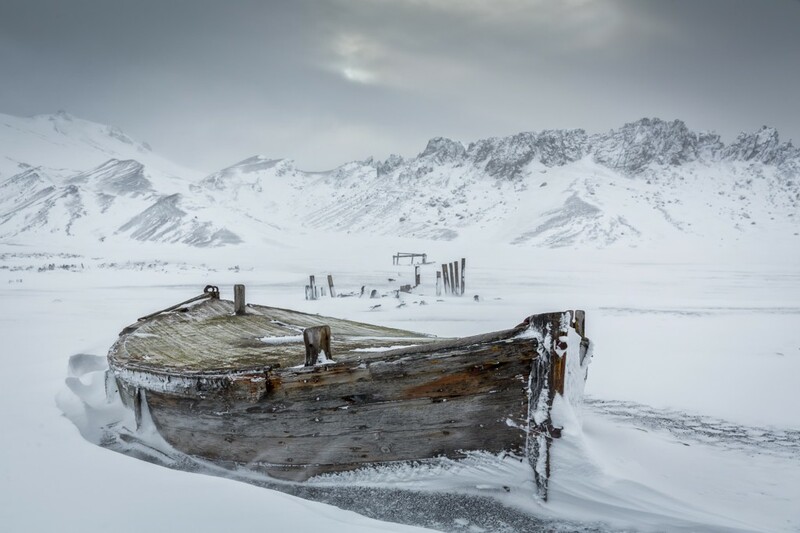 The subtle colours of the boat in the contrasts well with the silver tones of the snow and ice. The composition, in which the shape of the boat embraces the piles in the mid field is enhanced by strong detail in the foreground.